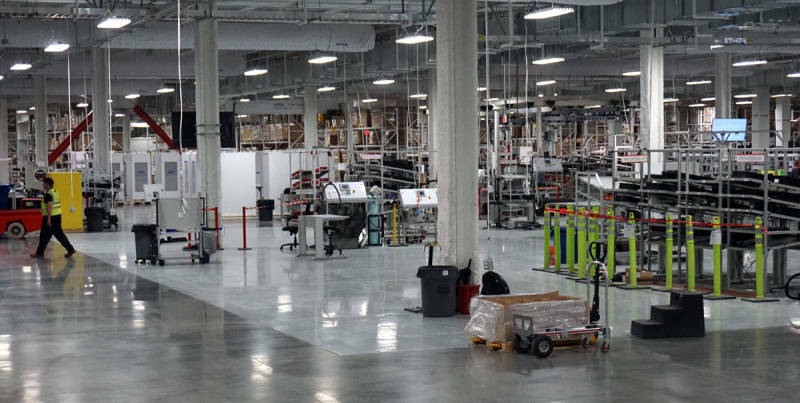 Tesla’s Gigafactory is a lot like Willy Wonka’s Chocolate Factory: it’s mysterious, it’s big and few people have been inside. 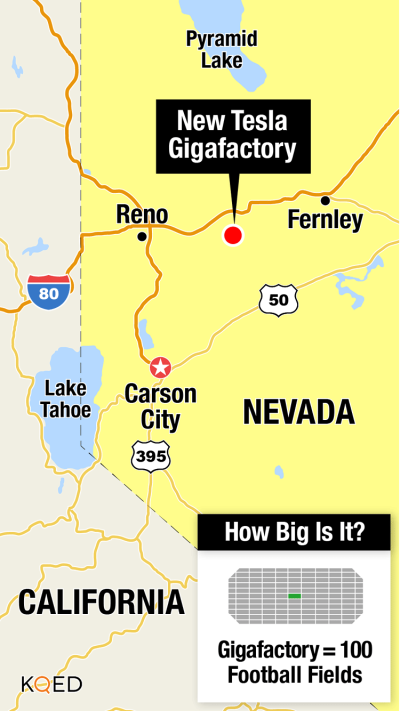 For almost two years now, the company has been building the largest battery factory on the planet high in the Nevada desert—a factory that it says could revolutionize the way consumers use energy at home. It’s tucked away in a dusty valley, half an hour east of Reno. Driving up Electric Avenue, the factory is a stark contrast on the horizon. It’s a sleek white building with a red stripe, almost like one of the company’s cars. We’re up on the roof of the Gigafactory, the small piece that has been built already, trying to get a glimpse of that scale. “So you can see the building footprint that would be in front of us to the west and north,” he says, pointing to the flat expanse of land where the rest of the factory will go—all 5.8 million square feet of it. “I’m not a huge football fan but I think it’s on the order of around a hundred football fields,” Straubel says. Like Willy Wonka’s factory, there’s a lot of hype about this place, both for the records it’s breaking and the company’s mystique. People have been caught sneaking onto the property to see it under construction. With its multiple floors, it’ll be one of the largest factories in the U.S., period. Its main rival is Boeing’s factory in Everett, Washington where 747s are assembled. Nevada beat out several states by luring Tesla with an incentive package worth more than a billion dollars. Lawmakers here are watching like hawks for the economic benefits, like making sure Nevadans make up a big part of the factory’s construction crew and 6,000 permanent workers. Inside the factory, that workforce is going full steam ahead. Workers are welding steel, pouring concrete and installing highly specialized machines, shrouded in plastic. It goes on for room after room after room. The main pieces of the lithium-ion batteries, the anode and cathode, are baked by huge machines in yet another room. “It’s a little bit like a giant baking oven except it’s a few hundred feet long,” he says. 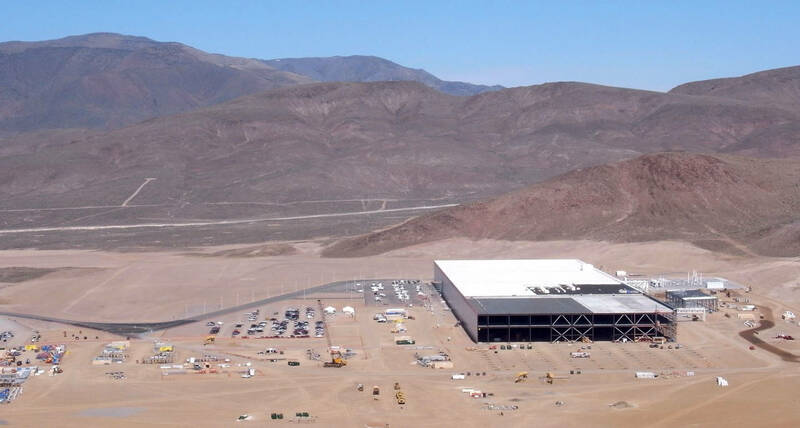 As each section of the Gigafactory is completed, Tesla moves in and starts battery production immediately. It will eventually be connected by rail to Tesla’s car-assembly plant in Fremont, California. 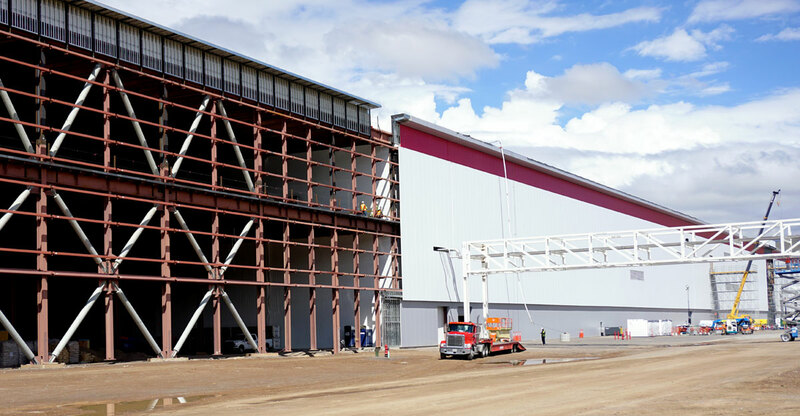 Straubel says the Gigafactory will even run on renewable energy from solar panels covering the roof, as well as off-site renewable projects and batteries, of course. 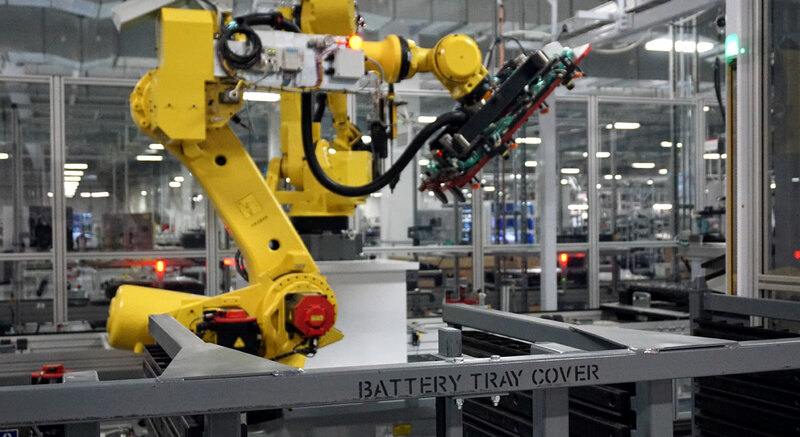 Tesla expects the factory, created in partnership with Panasonic, to double the world’s capacity for lithium-ion battery production, eventually making 35 gigawatt-hours of energy storage annually. That would supply 500,000 of its electric cars, a significant leap over what the company is producing now. Tesla is known for its pricey cars. Its sedan, the Model S, starts at $76,500 before tax credits, and batteries are a big part of the sticker price. Analysts estimate that most battery packs cost well over $10,000. Which is why, Straubel says, the Gigafactory is about scale. He believes scaling up could drive down the cost of batteries 30 percent or more. That’s what the company is going for with the new Model 3, its first mass market car, announced last month. It’ll run around $28,000 dollars after the federal tax credit. It won’t come out until late next year, but customers lined up in droves to put down $1,000 deposits. “We have today over 325,000 reservations for Model 3, representing this enormous backlog of orders,” he says. The catch is that Tesla can’t fill those orders without this factory up and running. “That’s part of why we’re trying to go so fast and accelerate the construction here, so we are ready ahead of time,” Straubel says. Just one room over, the part of the Gigafactory that is running is making something else: the Powerwall. It’s a flat battery, about 4 feet long, 3 feet wide, and it’s Tesla’s first battery for your house. There are stacks of them on the factory floor, ready to ship to customers. 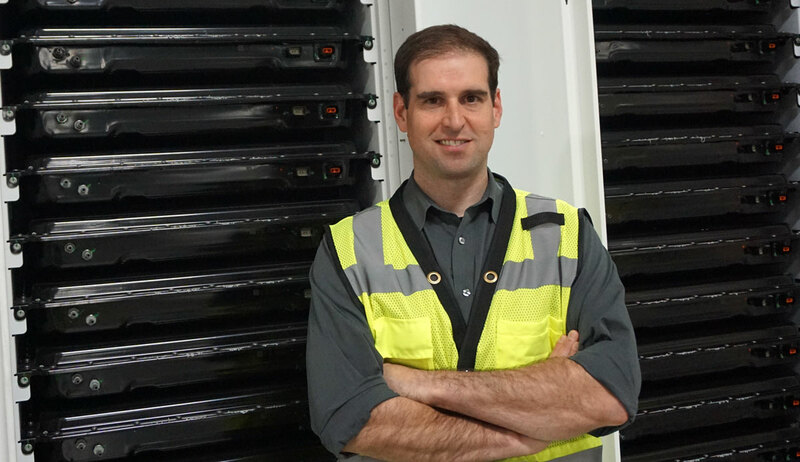 “If someone has solar on their house and they install a Powerwall, what this lets you do is store your surplus solar energy,” Straubel says. Homeowners could then use around 7 kilowatt-hours of that stored energy at night, which is several hours’ worth, depending on energy demand. The production floor is also stacked with Powerpacks, a larger version of the battery about the size of a refrigerator. They’re designed to store electricity at factories, industrial sites, or on the grid itself by electric utilities. 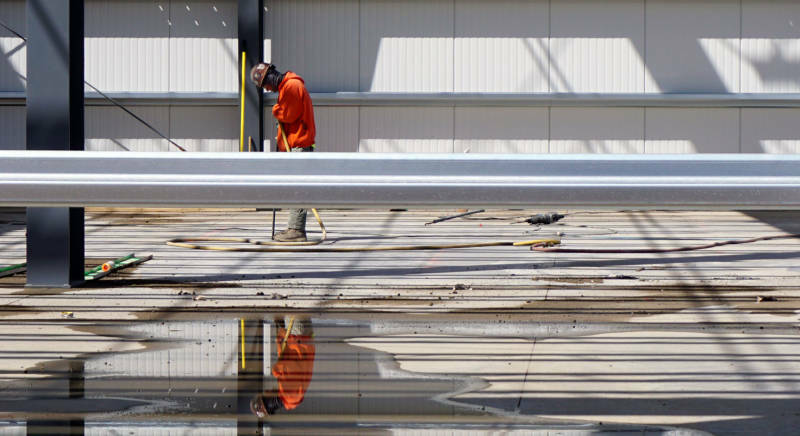 The machines humming in this part of the plant are part of Tesla’s ultimate vision for their customers: an electric car in the garage and batteries that store all the solar power they need. It’s a future free of fossil fuels, Straubel says. “That’s changing the transportation landscape. That’s changing the energy landscape. It is changing the world,” he says. It probably doesn’t need to be said: trying to change the world is a major gamble. “Is [Tesla CEO] Elon Musk far-seeing and investing in the future? Or is he making big bets that could all collapse at once?” says Severin Borenstein, an energy economist at UC Berkeley. When it comes to fighting climate change, Borenstien says the world could use lots of electric cars and low-cost, solar batteries. “If we could figure out a way to produce batteries at large-scale and low-cost, it would really be a game changer for reducing greenhouse gas emissions,” he says. The question, he says, is whether consumers are ready to buy into Tesla's vision. Gas prices have been extremely low, which hurts demand for efficient cars. 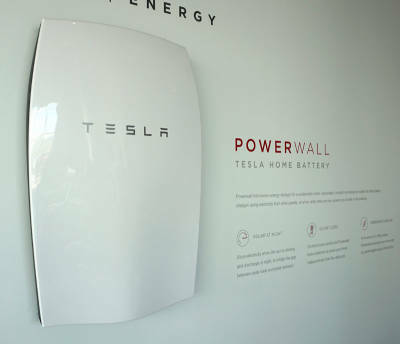 And then there’s the $3,000 Powerwall battery. Electric rates in many states make it hard to actually save money storing your own electricity. In California and some other states, solar customers are paid by their electric utilities for the extra solar power they put onto the grid, a policy known as “net-energy metering.” That creates little financial incentive to store solar energy at home. A battery could save someone money if electricity costs a lot more at night than it does during the day. Borenstein says few states have those kind of electricity prices. Tesla is betting that cheaper batteries will make everyone else want a home battery and electric car, too, something that could finally lead the company to profitability. The $5 billion Gigafactory is exactly that gamble. If Tesla stays on schedule, the factory will be fully open in four years.